We caught up with retired hotel owner Dermot O’Carroll to get his top tips on what to look for when buying a hotel. I suggest buying, not building. Buy an operation that’s successful, has a track record and a net profit before debt service. That’s why you need an accountant that knows the industry well. They shouldn’t fudge those figures to show you, for example, that labor and food costs are perfectly in line. You need to know the numbers and the norms in the industry. Look at that critically and determine that there is a genuine net profit that will serve the debt you are going to incur. You’re going to have to serve that debt after you take over the business. Then, you’ll have to look at whether you’re going to manage it or if you will hire a manager to do the job. If you’re going to hire a manager to do the job, that erodes the net profit because you’ll be throwing it out. So, you need careful analysis of the financial statements of the existing operation, and you need someone looking over your shoulder to ensure you’ve dotted your i’s and crossed your t’s. You also need a good business plan to present to your lenders so you can say this is what we’ve got and this is what we’re going to do. You need to know that you will have the cash resources to operate the business. The business may take a hiccup. You’ve bought a business and the previous owners may have had great influence on the success of that operation. Their departure may affect the net profit, so you want to think about that. You really need to take a look at what you want to achieve in hospitality to determine what type of operation you should focus on. If you are thinking about a flagship hotel, you are looking at putting at least 30% down before the bankers will even talk to you. If you’re talking about a 5 million dollar offer, that’s a down payment of 1.5 million, which is a sizable chunk of cash. And then, you’re going to have to have some background in the industry because you have to convince the lender that you have the know-how and the credibility. That means you come with something from behind you - that you’ve had success in several other businesses. You probably need to have a little nest egg for security, as for the first six or eight months, or even the first year, you might be operating with a negative cash flow. You can gradually take care of that as you build up a marketing plan that generates more revenue. A lot of people who are contemplating getting into the hotel business are probably thinking about converting a residential home into a down payment for the business. In doing that, you’d better make sure you aren’t jeopardizing your livelihood. I’ve always had an interest in real estate and dealing with people. I made a few investments in real estate and when I was ready, I completed my course and converted them into cash for my down-payment. That was the catalyst for my moving into the hospitality business. I don’t think I put the entire 30% down. The lender backed the mortgage, which was very helpful and the bank leapt in to offer a line of credit. That was my introduction to the hospitality business. The buying process is one way of doing your due diligence, making sure the analysis of the financial statements is clearly defined and you understand the impact. For example, let’s say you are buying an older hotel and you really don’t know very much about the physical structure. You will need to spend some time ensuring that if it’s a rural property, it’s on a septic system that is adequate and there are no environmental issues or outstanding work orders. You need water that is attainable and free-flowing so that you aren’t going to be left in a situation with no water supply. You have to look at your plumbing and electrics, making sure they are up to date and efficient. 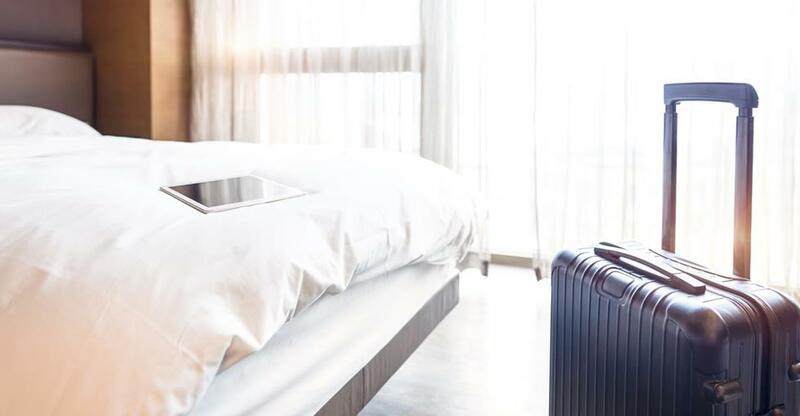 Then, if it is a full-service service hotel, look at the physical plant, starting with the condition and quality of the furnishings, mattresses and beds as well as the kitchen and how it’s equipped. You also want to make sure that the kitchen, bathrooms and bars are up to date and there are no outstanding work orders. Carefully analyze what it is that you are buying and that it has the ability to service the tasks and that the plant itself has a life expectancy beyond 10 or 20 years. Look at the roof and all aspects that determine the life span of the property. You may want to bring in someone independent, to appraise it for you. Carefully watch the wording of the contract of purchase because if it is the vendor’s contract, then you’ll want to be really careful. Have an astute lawyer, one that understands the hospitality business and what you are doing. The same applies to your accountant. These people are your backbone in this industry. It’s a costly addition but it’s worth it in the end.